Stonehaven - Langford and Butterfly Bay - Hook Island. 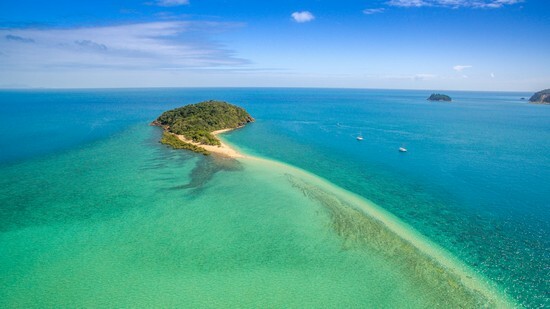 One: Blue Pearl Bay – Hayman Island map c13b page 180 100 Magic Miles Pick up a mooring no anchoring permitted. Amazing variety of marine life and coral to see and a very popular dive spot. Two: Langford Island map c12 mooring buoys only. A long sandy beach appears at low tide. Three: Black Island map c12 2 mooring buoys only. Fantastic spot for a snorkel with a great beach to explore with picnic tables on the beach. Strong current and suitable in light winds. Watch your navigation and check the 100 magic miles. After all that activity time to move up to Butterfly Bay for your night’s anchorage – map c14/15 page 181 100 Magic Miles. There are nine mooring buoys and an extremely protected anchorage in most winds. Time to relax and light up the barbie and reflect on the day. Check out the colony of black butterflies, explore the many creeks and coral beaches, beach combing and rock hopping is a common past time. An afternoon exploration by tender or kayak will take you across to Maureens Cove, here you'll see a number of giant clams, more beach combing and fresh water creek. Another swim or maybe an afternoon nap then light the barbie pop the champagne as the sun sets on the west and the moon rises over the hills.. In 1865 -1877 the Royal Navy assigned the vessel HMS Salamander to survey the Great Barrier Reef, one of the first paddle warships, under the command of Admiral Sir George Nares. Many of the regions landmarks were bestowed names of the ships crew. Willam Langford, Thomas Hayman, Lieutenant Robert Armit to name a few. HMS Salamander ran aground on a reef, which was aptly named in her honor. Plan to arrive about 2pm, so you have the best chance to secure a mooring with overnight 'rights'. 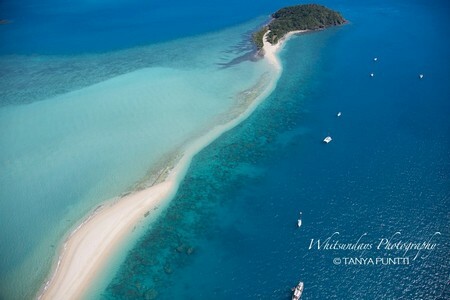 Plan your snorkelling trips at low tide for best view of coral and marine life.